**Shipping is closed for winter 2018-19. We will anticipate shipping as early as March 2019, but likely April 2019. Local meetups during the winter are still a possibility, as well as delivery to Tinley NARBC in March. Our prices are always negotiable, so do not be afraid to ask. The worst we can say is no. We are buyers and a sellers too, so we know what it's like to want a good deal. Discounts on multiples and pairs are always considered! 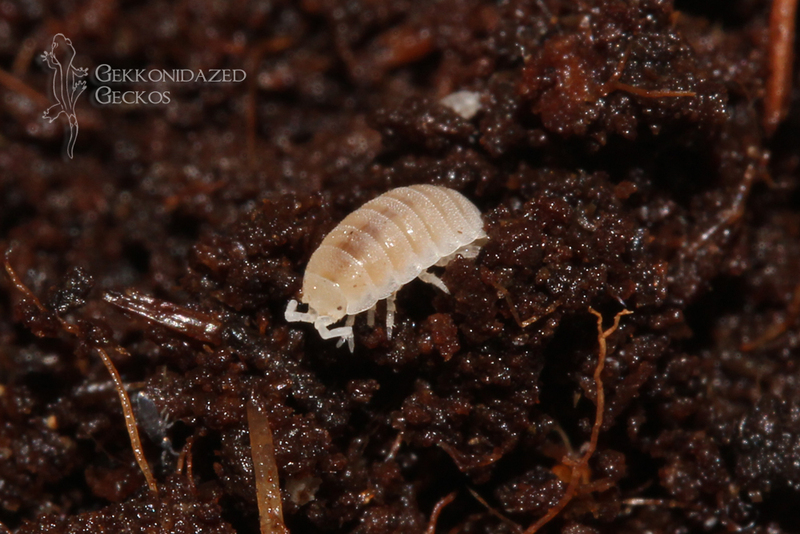 These little isopods have been doing so well in our vivariums that we've decided to offer them up for sale. They are excellent tank cleaners and will feed on reptile poo, leftover food, dead leaves, and other debris in your tanks. We are growing a small colony on their own, but they are doing even better in some of our larger planted tanks. Please ask any questions you may have about them and we'll surely help you out. *We do not currently have any captive bred Uroplatus for sale at this time.